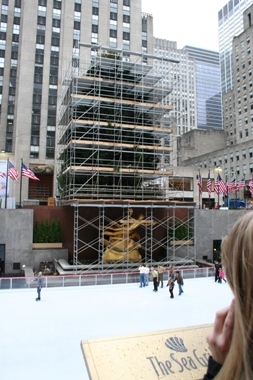 When we stopped by the Rockefeller Center after the show, we found a huge Christmas tree waiting to be decorated. I do not wish for a cold winter but can not ignore the ambiance that only New York City can create during this time of the year. I just love it! 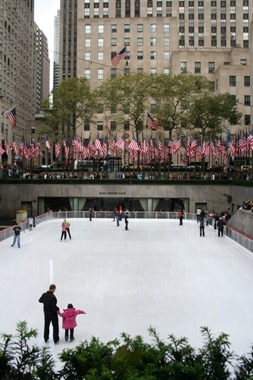 This is our first Christmas season in NY, and we can't wait to experience it all!